Russia, Sri Lanka, 2017, 30 min. 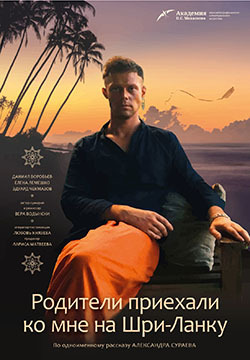 Downshifter Alex lives in Sri Lanka as a white king. The parents’ arrival coincides with the mystical appearance of local deity Shamka in the village. Alex’s peaceful life ends at this point. Filmmaker, scriptwriter. Graduated from the Film Institute VGIK (2005) in fiction and documentary film. In 2016 graduated from the Mikhalkov Academy of Cinema and Theatre.